This hard-working shirt keeps you comfortable long after you've brought in your limit. The Columbia PFG Bahama II Long Sleeve Shirt features lightweight, durable nylon that dries fast should you get splashed. Mesh-lined cape vents at the back shoulder enhance airflow to keep you cool in the hottest conditions. Built-in UV protection keeps the sun off your back so you can stay out until you're ready to come in. Two big chest pockets offer plenty of room for small gear and long sleeves can be rolled up and secured with button tabs. Closeout colors. Great shirt! Nice comfortable material and fit. The free shipping was a big plus!! Amazing shirt. This is the 2nd one I have bought my husband, Dad and Father-in-law. They all use them for both fishing and going to the beach. 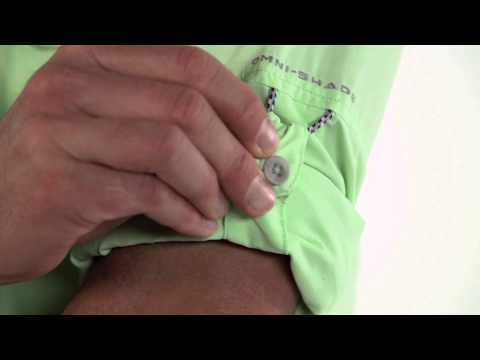 The UV protection along with the quick dry fabric makes this shirt a winner. I purchased from ACK because of the amazing price, stocked inventory and fast shipping. fabulous shirts, kept the sun at bay in Baja for ten days. My wife would have appreciated an XS size, but the sun protection was 100%. very light weight, and durable too.